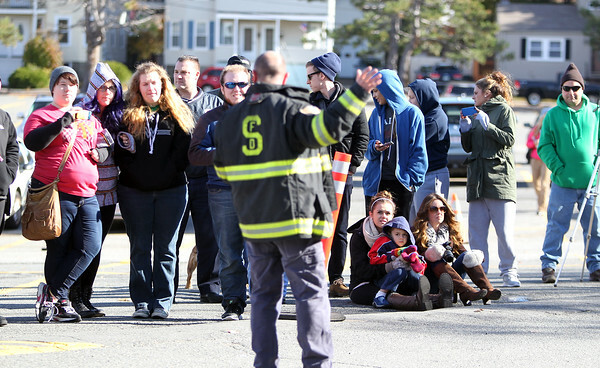 A crowd gathered in the O'Keefe Center Parking Lot at Salem State University listen to Salem Fire Marshal Lt. Peter Schaeublin, as he describes how a fire in a dorm room without a sprinkler system could spread in a matter of minutes during a demonstration on Saturday morning. DAVID LE/Staff photo. 11/8/14.